If you live to shred, you need a purpose-built machine. Here's an axe built to keep up with the best! 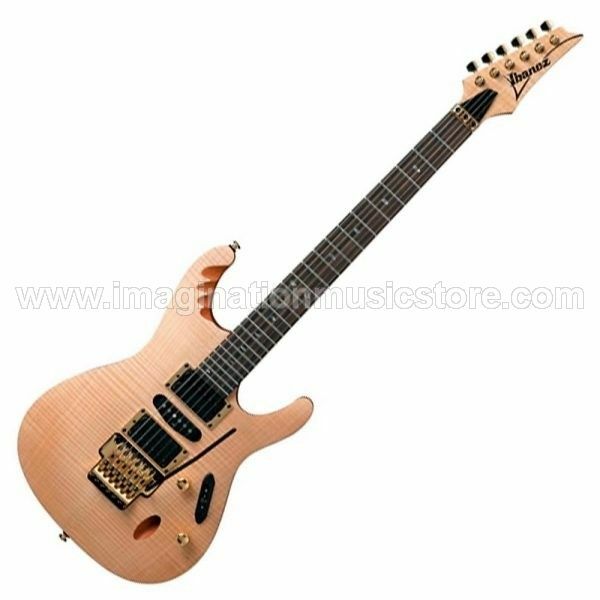 Ibanez's Herman Li Signature Model EGEN8 is the result of a collaboration with spellbinding DragonForce guitarist Herman Li. To be able to wail at Li's rate of speed, you need a guitar that's precision tooled for the task! And with this puppy's blazing 3-piece maple neck, scalloped upper horn, and vicious pickups, you'll be ready for anything! This is the exact same guitar that Li rocks live onstage and in the studio — zero modifications. Get ready for next-level shreddery. Hook yourself up with the Ibanez Herman Li Signature Model EGEN8.